June 9 is National Get Outdoors Day! The U.S. Forest Service and the National Parks are celebrating National Get Outdoors Day—an effort to make us all aware of the benefits of enjoying the big, beautiful American outdoors. On Saturday, June 9, entrance to all Forest Service parks are free as is entrance to the Northwest National Parks listed below. On this day, many of the parks are offering special events, walks, exhibits, and a chance to experience the wild in an up-close and personal way. Anacortes, gateway to the San Juans, is a delightful destination in itself, worthy of a day trip, or an entire weekend. Like next weekend, for instance, June 2-3! That’s when the Anacortes Waterfront Festival draws local artists and crafts-people, offers up delicious local goodies, and toe-tappin’ live music. The wide variety of events includes a milk carton derby; the High Tide Ride, a 5-mile cycle race; a Custom Classic Car show; free boat rides and guided waterfront walks; and a radio-controlled sailboat regatta. On Saturday, the Quick & Dirty boat-building competition gives us the chance to watch students from local trade schools and the marine industry build a seaworthy vessel in six hours flat. You’ll even get to join the judges in determining the winner! On both Saturday and Sunday, at the Seafarer’s Memorial Park, the Hole in the Wall Paddling Club hosts the opportunity to learn about paddling sports, and the U.S. Coast Guard Search and Rescue helicopter team gives exciting demonstrations. 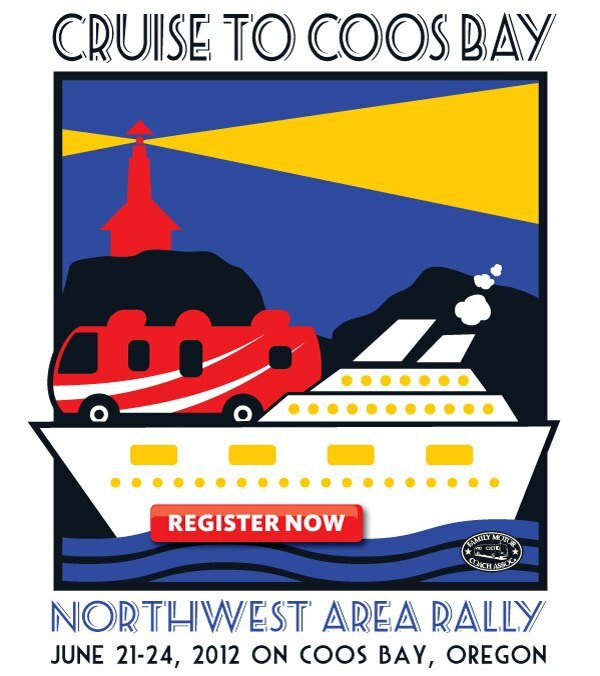 In addition to public and private campgrounds in and around the area, RVers traveling to Anacortes can look to Encore and Thousand Trails RV Resorts and Campgrounds for accommodations during the festival. 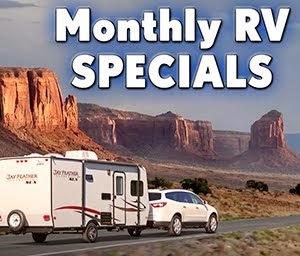 To book a visit to any of Encore and Thousand Trails RV Resorts and Campgrounds in Washington or around the country, call 866-730-0637, or visit www.RVonTheGo.com. 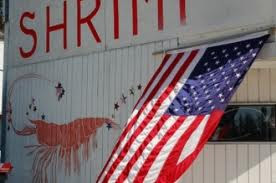 Between Anacortes and Whidbey - Grab Some Shrimp on the Way! If you’re heading south on Highway 20 from Anacortes toward Whidbey Island, you’ll catch sight of a small, lone establishment on the left whose sign reads “Sweet Ds Shrimp Shack.” It feels like the middle of nowhere, but it’s a mere two miles north of the Deception Pass Bridge. Apparently the prized location is grandfathered in (it used to be a grocery story in the 1950s and 60s), since the Shrimp Shack has been sitting on that prime slice of property since 1973. You might want to time your Whidbey arrival right about lunchtime, because it’s the perfect place to pull in, order up some take-out and head down the road five minutes to Bowman Bay (the northernmost edge of Deception Pass State Park), or into the Rosario Beach park for a picnic with a stunning Northwest view. Shrimp is the big draw here—the coonstripe, sidestripe, and pink shrimp are local, from the waters around the San Juan Islands. Wednesdays are the shrimp-fishing days and the fishermen boil their catch right onboard their vessels and bring them over to Sweet Ds. You can buy them by the pound for about $5-$6 (freeze or keep them in your fridge for a barbecue). The oysters come from up the nearby coast and the mussels are direct from Penn Cove, halfway down Whidbey. The oyster burger is a personal favorite, along with the cod fish-wich. For meat eaters, the hamburgers are ground fresh from local grass-fed beef, or you might enjoy an elk burger, or house-made brat. Everything is local and delish, the portions are generous, the prices excellent. And there’s something about sitting outside, next to your motorhome-sweet-motorhome, tasting the bounty from the sea while gazing out at the pine-fringed coves of the surrounding islands that just says picnic in paradise —Northwest style. The Family Motorcoach Association 2012 Northwest Rally is coming June 21 to 24 to the Mill Hotel and Casino in North Bend, just north of Coos Bay. Preregistration for the event ends May 31, but FMCA has announced that the fees will not increase even beyond that. All owners of self-contained RVs are welcome. There are also Shore Excursions including a nature tour, museum tour, harbor/bay tour, and a golfing package. A fee is charged for these, from $4 to $75 per person. For more information or to register, visit FMCA.com. 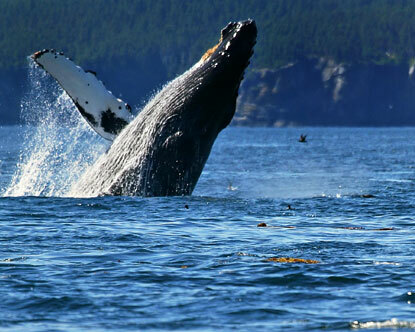 If you’re moseying your way up, or down, the Oregon Coast this month, keep an eye on the waters for the telltale signs of gray and orca whales: breaching, blowing, and spyhopping. While the big northward migratory rush peaks late in March, hundreds of slower mammals, especially mothers and their calves, bring up the rear well into June, making late spring a great time to enjoy a leisurely road trip up this gorgeous seacoast––and a chance to whale-watch relatively crowd-free. 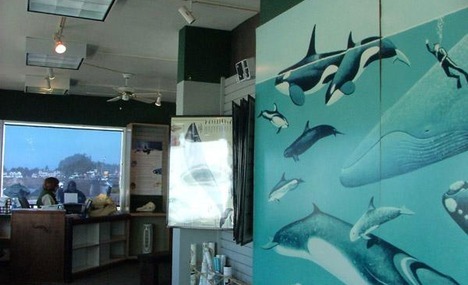 Make a point to stop in at the Whale Watching Center in Depoe Bay, a fun place for all ages to learn about the magnificent marine creatures from dedicated rangers and volunteers. Located at 119 SW Highway 101, the center is open Wednesday – Sunday 10 a.m. to 4 p.m. until Memorial Day, and until 5 p.m. daily from Memorial Day through Labor Day weekend. While some think the nickname, "The Evergreen State" is directly related to the rainfall level in Washington, RVers who like green and helping out may have a good combination. The state's Parks and Recreation Commission is "seeking enthusiastic and interested volunteers to serve as hosts" throughout Washington. Campground hosts are needed not only on the more "temperate" and moist western side of the Cascade Mountains, but also on the drier eastern side. According to a news release, the Washington State Parks Host Program offers volunteers the chance to stay and have fun in beautiful and diverse park settings while gaining experience in park operations and visitor services. Hosts represent state parks by greeting the public and helping set the tone for visitors to have a pleasant stay. They assist park staff and perform a variety of tasks depending on the park and the type of host assignment. Hosts receive free camping and hookups in exchange for performing these duties. A typical assignment is 30 days, but may be extended up to 90 days at the park manager's discretion. Hosts must provide their own RV and camping equipment. 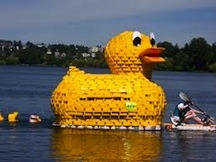 For a list of volunteer and host openings, visit www.parks.wa.gov/volunteers. For more information on the program itself, visit www.parks.wa.gov/hosting. The following Oregon State Parks have opened for the 2012 summer season. Click on the links for additional park information and driving directions. In addition to the park campgrounds, Kam Wah Chung State Heritage Site in John Day and Sumpter Valley Dredge State Heritage Site west of Baker City opened May 1. Both are day-use parks. Sometimes technology is an RVer’s best friend. Especially if leaving everything to chance means having an adventure of the frustrating kind. Today’s new smart phone apps can help us make a campground reservation, tell us what’s off the next exit, locate the closest gas station, or point us in the direction of a great biking or hiking trail. Which leaves more time to enjoy our experiences and savor our precious “free” time. AllStays Camp & RV. 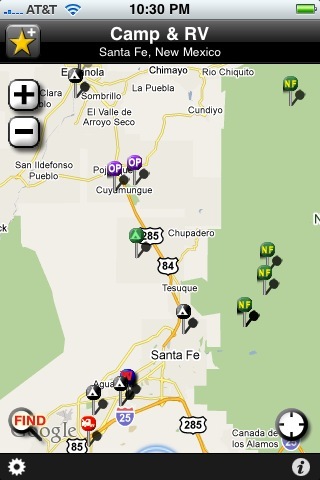 This seems to be the across-the-board favorite RVers app. You’ll find every national, state, public, military and private campground in the area you’re traveling; information on boondocking; find rest areas, truck stops, supply stores, and even dump stations. Audubon Nature Pacific Northwest. The definitive Northwest wildlife and nature guide – to animals, fish, insects, trees, flowers -- is now an app for your referencing pleasure. Oh, Ranger! Not only will you find the nearest park with this app, but it will also show you where in that park you can pursue your favorite seasonal activities, from winter sport to swimming, and from caving and fishing to bird and wildlife viewing and horseback riding. Google Sky Map. Looking up at a dark night sky is one of the great pleasures of camping. Google offers a free app that tells you what you’re look up at, from wherever you are. RoadAhead. Find out what the next highway exit offers, from cafes and restaurants, to grocery stores, gas stations (even compare prices! ), ATMs, and even pharmacies.